Trello is Taking Over My Life! You could literally manage anything of your life in Trello. Want to lose weight? You could use Trello. Want to plan a wedding? There is a Trello sample board for that. Managing a Content Calendar? You should use Trello. Preparing for an Exam? 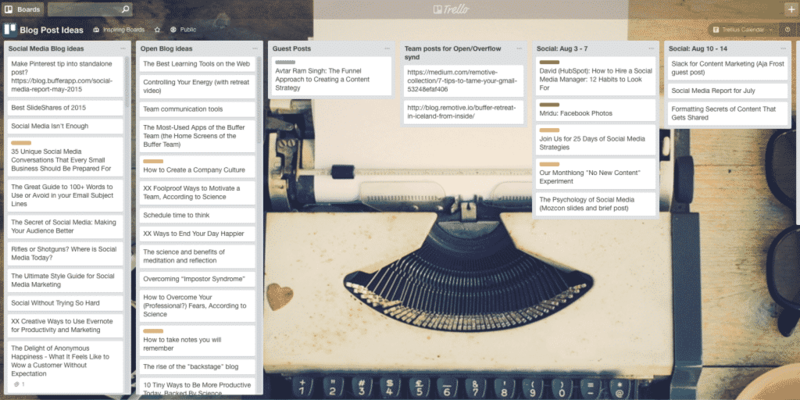 There is Trello for you. Starting a Startup? You must use Trello. Not getting your work done? You should definitely use Trello! This Trello Inspiration page, show all of those possible examples, you could get inspiration or directly copy the board format, and get started. Planning work properly is one of the mandatory factors to get any kinds of success. I am not saying Trello is ultimate tool, but its easy and best I could see around. If you are not in Trello, maybe get started with your personal to-do list and task management.